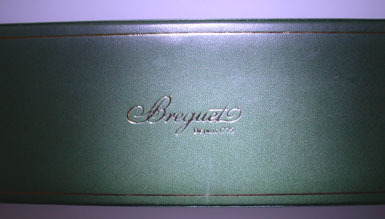 Fine Breguet 18K gold reference 3390 automatic wrist watch with original box circa 2001. 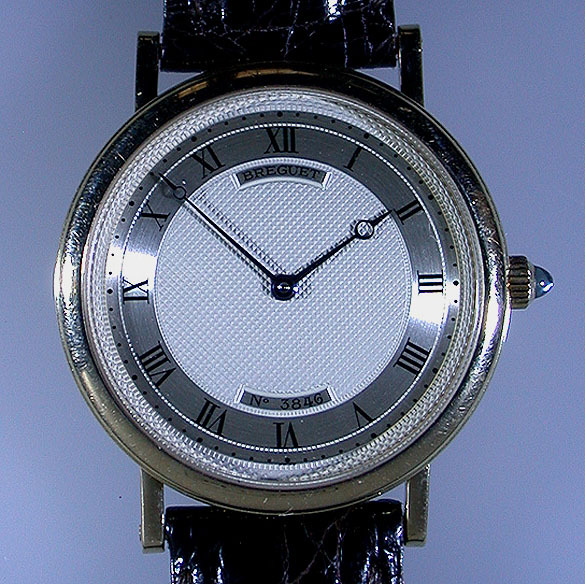 Engine turned silver dial with blued steel hands. 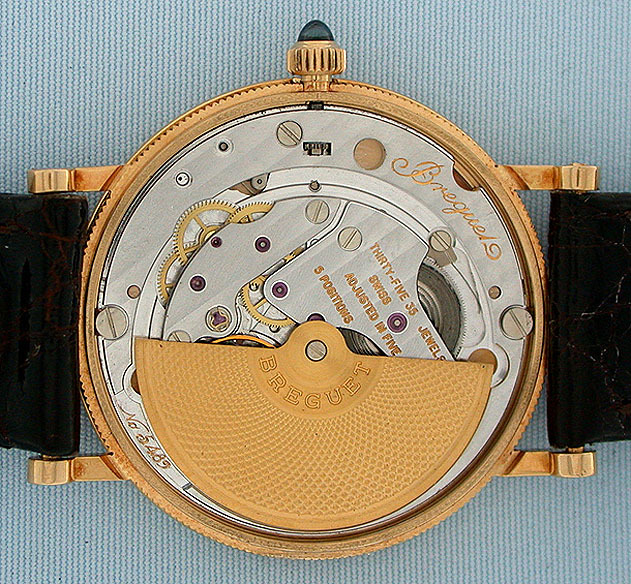 The case with sappire crown, downward sloping lugs, and coin milled band. 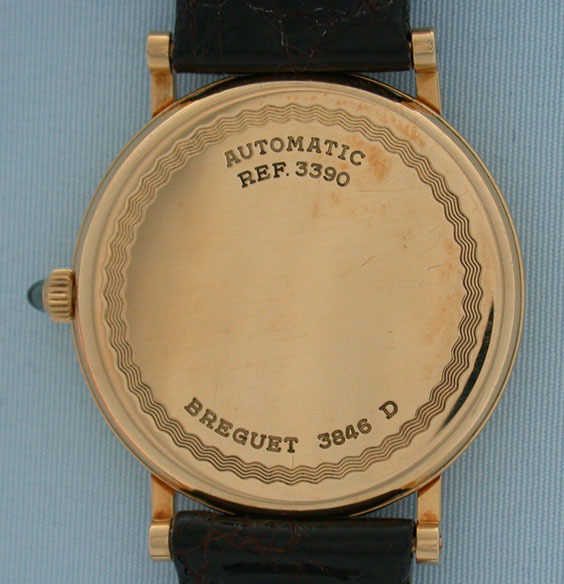 With original gold Breguet buckle. 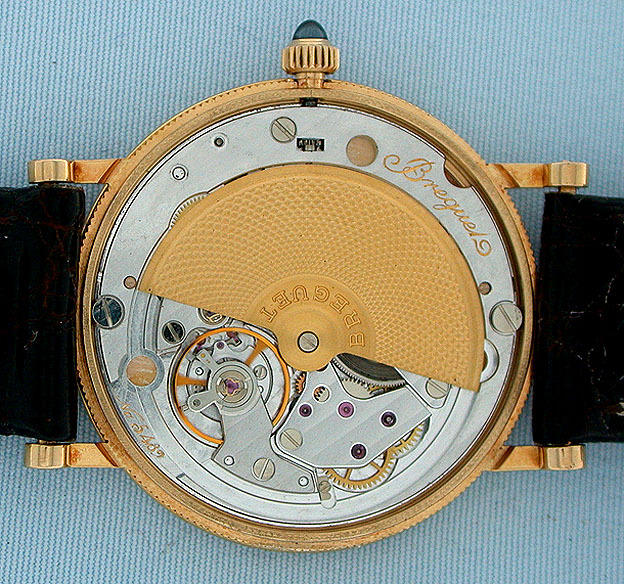 35 jewel automatic movement with gold rotor.